I did see and read this article yesterday. Pretty fascinating to me. I think what it points to is that there are many different ways of parenting, and many people feel very strongly that one way or another is the best way. Everyone is entitled to their way of thinking and doing things, but I object to any one way being presented as “the best way” or a “superior way.” I believe all of the various philosophies of childcare and ways of parenting (or caring) have developed in response to a number of factors, including cultural and personal values and norms, the ways in which adults view children and childhood, and new scientific understandings of how children develop, to name a few. All parents and teachers, whether they realize it or not, have a philosophy (an underlying set of beliefs) about children and parenting, which then impacts their actions and how they approach caring for children. I mention this because I have recently been doing a vast amount of reading of on-line blogs written by parents and teachers. Because I have no biological children of my own, but instead have devoted myself to caring for other people’s children, and supporting families, I have an interesting vantage point. I feel an added responsibility to constantly be listening, learning, and questioning my assumptions about young children, what they need, and how to best support their optimal physical, emotional, and cognitive growth, and further, how to support their parents in finding their own way in their parenting process. One thing that the parent/child relationship has going for it, is the protective factor of love, and the on-goingness of the relationship over many years. There are a lot of opportunities for parents and children to learn from each other, and to “get it right” over time. 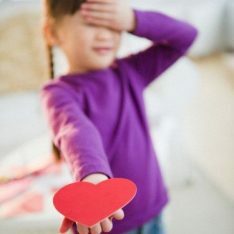 As a caregiver, or teacher of young children, I am sometimes only a part of a child’s life for a very short time, and so feel the burden of giving them the very best I can offer. Which brings me to RIE again. 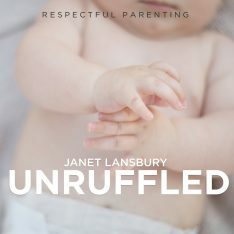 In all of my years of studying and working with young children, never have I found a philosophy that makes more sense to me, not just in terms of the deep respect, trust, and understanding for young babies and what they need, but also in terms of being one that works for parents, and makes the very hard job of parenting easier and more enjoyable. Notable in terms of the available research findings, and “proof” we have today about how babies develop and learn, RIE practices can be considered “best practices.” What could possibly be harmful about slowing down a little, stepping back, listening, and trusting a baby to be able to guide us in caring in an attuned way? So, I’ve come full circle in my comment it seems! I love what Magda (Gerber) always said about parenting, which is that she believed there were many good ways to raise a child, and she offered one way, which she believed would never cause harm. If you asked her, she was very clear about the how, and the why, and she never compromised, yet she allowed people to come to their own understanding in their own time and their own way (or not), much like she did with babies. I’ll be sharing my opinions here in the comments. Please join me! These parenting intentions and “outcomes” are NOT mutually exclusive! Chua obviously believes that we must treat our children like racehorses and crack the whip for them to be capable, confident, skillful and successful. My experience as a parent has shown me that this isn’t true at all. In fact, I have found the opposite. My children have what Chua wants hers to have because they have been nurtured and respected unconditionally, trusted to learn from their mistakes, encouraged to follow their hearts, find their passion and express their individuality. Chua says she believes in her childrens’ strength, so it’s okay to push, shame and constantly criticize them, but what she really believes is that her children would be nothing without her prodding. I agree with Chua that she cares about her children, but it is a misguided kind of caring. Janet as a RIE mom AND a former racehorse trainer i would object to comparing Mrs Chua’s methods of parenting to training racehorses…Thats not at all how its done! Mrs Chua’s methods resemble more of a military boot camp (also somthing i am familiar with having served for 2 years). Every decent racehorse trainer knows that the best way to get the most out of a horse is to pay close attention to that horses temperament, personality and natural abilities to best determine where and when to run. I love your blog and your insights and comments are invaluable tools in my parenting! I know this is an older article, but I recently read Battle Hymn of the Tiger Mother AND discovered your blog, and it’s set me to thinking, and I would love your response. I like the idea of letting go of an achievement agenda and being okay with what the child is ready to do at that moment. You also write a lot about this allowing the child to find intrinsic motivation to accomplish tasks, that that can supplant the need for external motivation. That’s the part I’m not sure of. Ms. Chua wrote at least one thing that resonated with me – I think she called it part of the cycle of success. It isn’t fun to lose or to fail. But if you work hard, even though the hard work isn’t always fun, you get better, and suddenly it’s a lot more fun because you’ve achieved success (whether that means actually winning something or simply being able to do something you couldn’t do before). Playing the piano is a valid example (though it’s safe to say Ms Chua takes it to extremes). When a song is hard and a child is frustrated, can she get away with saying “I can’t play this!” and should the parent just wait until she feels like she’s ready to play it? More likely she can’t play it — right now — but with careful practice and drill work she would be able to…gaining all the satisfaction that doing something difficult entails. Anyway, I think a parent *does* have a very important role to play in the motivating a child through the burden of hard work. Sometimes everyone needs a little external motivation. It’s why Weight Watchers exists, or any other support group. I’d hate to see a parent forcing a child to continue an activity that she hates, but I’d also hate to see a child allowed to quit any activity once it got challenging. I think learning to push through that difficulty, even when it’s hard, frustrating, and not-fun-at-ALL-mom!! is really important. And I think it’s a lesson that may require the intervention of an adult, someone better equipped to see the long term advantages to persistence. I think it likeliest I’m just misunderstanding something about the RIE philosophies, and I thank you in advance for your perspective. I didn’t think of comparing Amy’s essay to RIE but that’s kind of where I was going. I think this is a very interesting article. I would like to preface my comments by stating that I really love this blog and the care and attention you put into responding to comments and questions. You have helped me a lot in my efforts to raise my daughter using RIE techniques. I think there is a fundamental problem with Chua’s article in that she doesn’t address the issue of why competition and being the top of the class is so important to “chinese mothers”. The post addresses it a little, but I think it requires further consideration. I am not an expert on Asia but in my career as the academic director at an international language school that catered to mostly Korean and Japanese students I gained a lot of insight into their culture and value systems. Also, I’m originally from the the Carribbean and I grew up with parents who were of the “chinese mother” persuasion. Most of the Korean and Japanese students I came into contact with began attending school at 3. Elementary and middle school students studied anywhere from 10 to 15 hours a day. Most of them study one or two extra languages starting at preschool age. Why the push to succeed and be the best? From what I understood, Korean students have to compete. In their own words they are a tiny country, with not much natural resources. Their main resource is people and if you want to be able to afford the necesssities in life you are competing with hundreds if not thousands of other applicants for one position. Companies have extremely high requirements often requiring applicants to be fluent in three languages for jobs where there is no way that they would be using those languages. The logic is that companies demand this because they can – it is a way to reduce the list of applicants from the thousands to the hundreds. I often expressed my surprize about this to my students and they laughed and said, yeah you can complain about it, but you won’t get the job, there is always someone else willing to do what it takes. Yes we have competition here in North America however we do have some social services to assist those who have fallen on hard times (I’m not saying it’s enough for those who need help but we do have some programs available) In Korea social assistance is even less then in North America and it is the children’s responsibility to help take care of their parents in their old age. In the work place there are less laws in place for the protection of the employee. I have heard many stories of job applications asking about religion and requesting photos. Your boss the BOSS and there is no room for disagreement or failure. You are easily replaced. According to the students this attitude is pervasive – it is found in schools, the work place. It is a fundamental part of their economy and culture. Not everyone feels it is ideal and many students spoke of the stress and pressure they felt. None the less the constant drilling and studying is what they feel they need to do to succeed. If I raised my child using RIE principles in Korea I would be setting her up for failure in terms of a career – her independant spirit and desire to express her feelings would be seen as a weakness and she would be fired. 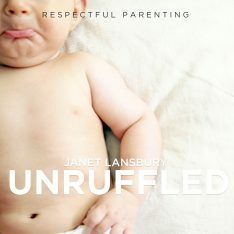 With all due respect (and I really do respect you Janet!) I disagree with your statement “It is a misguided kind of caring”. It is misguided to use this type of parenting in North America as we have a different value system, economy and social values. For RIE to really work their economy and cultural attitudes would have to shift – everyone would have to change. The “Chinese Mother” may very well be doing the right thing to keep her children from living on the streets as there is not much of a social network to help them if they don’t succeed. This situation is not simply black and white and it is too simplistic to say that the Chinese mother way is superior or that it is completely inferior. I’m not saying that crictism, pressure and bullying are okay and I’m sure asian children do feel hurt and isolated. I myself am trying to follow RIE the best I can. I’m just saying that we should take a step back and try to understand why people choose this type of parenting style before we label it as misguided. If we don’t consider our words and opinions carefully we could fall into the trap of saying well our beliefs, culture and value systems are better then theirs and that is very dangerous. From what I understand a big part of RIE is acknowledging what our children have to say. Perhaps we should take the time to step out of our North American centric views and really understand and then offer our advice, guidance or opinions. Working with asian students was really enlighting, I could go on and on about the differences I learned about our cultures. I’ll stop though. Keep of the great work – I really think you’re doing great work here =). Suzan, thank you for explaining this so well. You have definitely enlightened me… I guess what I should have said rather than “misguided” was that this approach is guided by beliefs I don’t share and didn’t fully understand until you explained them. It’s a difference in priorities (as Lisa said much more gracefully and non-judgmentally). I believe that children pay a steep price for the kind of parent-driven success Chua describes. To ensure economic survival the losses in emotional health may be worth it. Still, I believe there are better ways to foster the skills our children need to succeed. Idealist that I am, I think passion can beat out a superior skill set any day, and following our passion is what life is about. We may be able to mold our child into the greatest violinist ever, but while doing so cause her to neglect a true and far greater talent in another field, one that would be enjoyable and profoundly fulfilling for her. My idealism is one of the reasons I was drawn to Magda Gerber’s approach to child care although I found it very practical, too. Interestingly, there have been recent requests for Magda Gerber’s books Dear Parent – Caring For Infants With Respect and Your Self-Confident Baby to be translated into Chinese. Let’s see how that goes! I agree with you totally and wanted to add that things are changing, as shown by the recent request for Chinese translations. Here’s a link that provides some more background on Chua and the Asian American perspective. If you have a chance check it out. Have a great day. There are many methods to raising children and as a caregiver that can be challenging. I am sure that the families that you have worked with are very fortunate to have your knowledge and expertise. As all infants are unique, so are parents and the environment in which they live. Obviously virtually all parents want what is best for their children. How to provide the best care and guidance will be influenced by a number of factors, including the surrounding culture, resulting in “different strokes”, as Lisa points out. There is no underlying cookie cutter method that will manufacture perfect children, nor should we want “perfect children”. 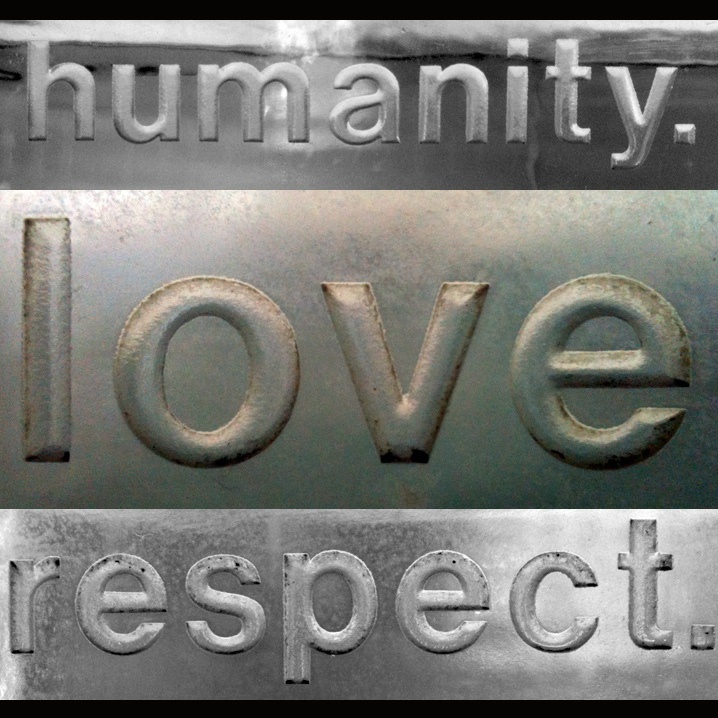 Truly respecting the individual in each child that we raise can be a guide that may well work in all cultures. Bence, you know I completely agree.